A massive email phishing campaign started Wednesday afternoon. The email attacks target Google accounts but have spread to other email accounts as people have been tricked into clicking on the link in the email and have unwittingly supplied their Google account access credentials and access to their contacts. The reports of the malicious emails are coming from people across a range of industries. The emails contain what looks like a link to a Google Docs and appears to come from someone you know. These emails, however, are malicious and are designed to trick the recipient in a way that allows the cybercriminal to hijack email accounts or infect the user’s computer. If you receive an email with a link to Google Docs, BEWARE! These emails are designed to look like they come from a trusted or known source. Do not click on any links in emails that you were not expecting. A screen shot of one of the Google Docs phishing emails is shown below. If you receive one of these emails, delete it ASAP. If you use Gmail or Google Inbox, consider activating the 2-factor authentication feature to secure your account. Several major news organizations and cable networks are reporting on this story. For the most up-to-date news on this developing story, use your favorite internet search engine to search for “google phishing email scam”. A sample Google Docs phishing email. The form and style of the email may vary from this sample. 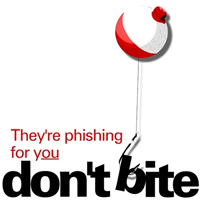 To read Google’s Gmail Help on phishing emails, use your preferred internet search engine and search for: “Google Help and how to avoid and report phishing emails”. If you are attacked by malware or a phishing email that compromises your organization’s privacy and security, Wyatt’s experienced Data Security Incident Response Team is ready to help.